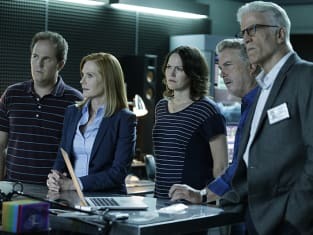 It was truly the end of an era as CSI Season 16 Episode 1 and CSI Season 16 Episode 2 closed out a series that changed the way America viewed the criminal justice system. Before CSI, who even knew there was such a thing as a criminalist? Now talk of forensic evidence in criminal cases is more than commonplace, it’s expected. This show singlehandedly changed what we expect from our justice system while entertaining us for the last 15 years. It’s a show that deserved to be given a final season to wrap up, even an abbreviated season. Instead it was only given a two-hour movie which left me feeling unsatisfied, but I suppose I shouldn’t complain…Law & Order didn’t even get that much after 20 seasons on the air. The finale brought back some fan favorites including Gil Grissom, Catherine Willows, Jim Brass, and Lady Heather, but in doing so it relegated some of our newer favorites to the back burner. The most glaring in that category were D.B. Russell, who I’d come to greatly enjoy over the past few seasons, and Julie Finlay whose death was only dealt with by the showing of a memorial plaque. Talk about an anticlimactic end given her final scene last season. The story surrounded suicide bombers, the first of which blew up part of Catherine’s casino bringing her back to Vegas. Catherine was always one of my favorite characters, so I was thrilled to see her. I picked out the new CSI as her daughter Lindsey immediately, even if Grissom did not. The questions began almost as soon as the bomb went off. Why was the explosion so small when the bomber could have taken out the entire casino, and why target a woman who had young children? I thought it was a little farfetched that the initials LHK automatically led them back to Lady Heather, but with only two hours, I suppose the plot had to be moved along quickly. Grissom, known as the Lady Heather expert, was called in from San Diego to help. Apparently he and Sara hadn’t spoken since their divorce, which made for an awkward reunion, and Lady Heather’s appearance only made things worse. I couldn’t really blame Sara for being on edge. She had to be questioning why her ex-husband knew one of Lady Heather’s Gold Keys for special members on sight and why he was defending the woman so ardently when the evidence was saying she was guilty. Evidence was always Gil Grissom’s religion. Somehow with Lady Heather, that changed. I was thankful that the teacher didn’t trigger her bomb in front of a stage full of young children. If she had, I may have changed the channel right then. Still, I felt horrible for the bomb tech, although I couldn’t believe he hesitated from snipping those wires. The Devil’s Breath was a unique twist. Is there really such a flower? If there is, I may never smell flowers again. The suitcase had the entire team running for cover but it wasn’t a bomb, just the body of the man who had killed Lady Heather’s daughter. It all led to a video of the man behind the bombings. I loved D.B. Russell’s absolute glee at being able to decipher an ear from the graphic swirl and his eventual ability to detect a finger print. Grissom and Sara’s bee hunt was almost too complicated to follow, but I think the real point behind it all, other than finding their mad bomber, was to have Gil watch Sara longingly in her bee gear. Catherine, Greg, and Morgan tracked down the bombs in the garage, and there were two things I loved about that scene. 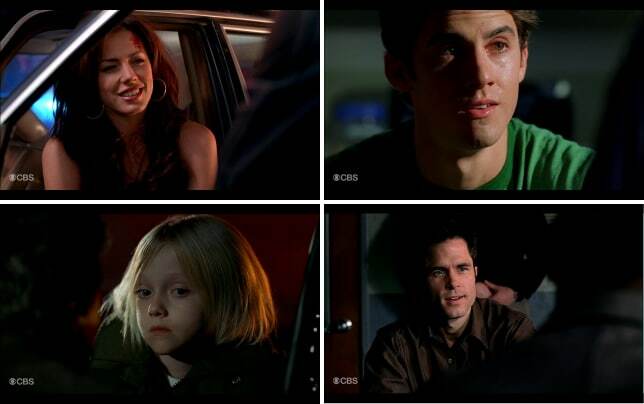 First that Catherine asked her late father, Sam, to help her choose between black or red and second, that Morgan practically had a breakdown at having to cut the wire. I think most of us would be a terrified mess if we were in her position, so it was nice to see at least one character not facing death stoically. Grissom’s lonely whale story was heartbreakingly sad but having him pull the clip on the deactivated vest felt anticlimactic. Grissom has always been a bit of an odd duck, but never more so than in this episode; or has it just been that long since I've watched Gil Grissom? I'm really not sure. From his lame jumping the shark joke to having him utter the line, “Who are you?” many of his interactions felt forced. The only time he really perked up was when there were bees to follow. In the end, there were many characters I wish we’d had more time with and lots of questions left without answers. Do Hodges and Morgan ever become more than just friends? We barely saw any of Greg, and we have no idea where Russell is headed other than some new opportunity on the east coast. That’s pretty vague. So many plot points from last season were simply left dangling. Those few sentences had Sara leaving the Director position and running off to San Diego to sail off with Gil. It was a scene I would have found much more satisfying if the two had had a real conversation about their feelings or why their marriage ended. Since neither of those happened, their reunion felt a bit empty. Catherine’s story made the most sense. She’ll take the Director’s position now that Sara has bailed. She can be near her daughter, will apparently help care for the two girls orphaned when their mother was killed in that explosion and run her father’s casino. Las Vegas has always been her home. It’s good to see her back. 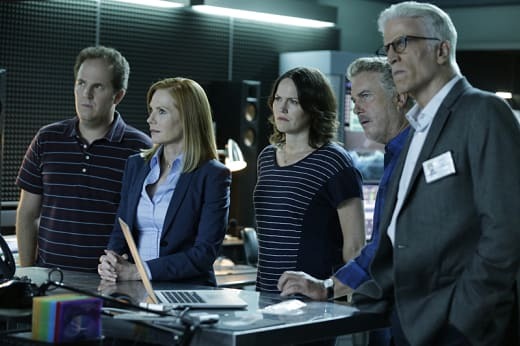 So what did you think of the CSI series finale? After 15 seasons was this a satisfying conclusion? Give us your rating for the end of CSI. If you're already missing the series, you can always watch CSI online here at TV Fanatic.